Found 3 file extension associations related to WinBatch and 3 file formats developed specifically for use with WinBatch. 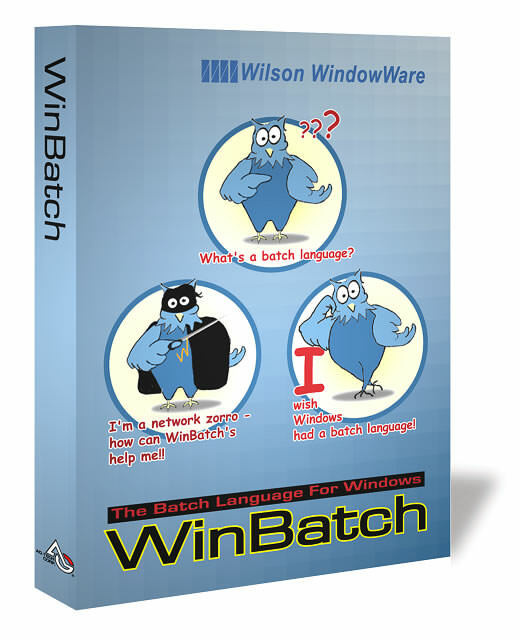 Developer / company: Wilson WindowWare, Inc.
With WinBatch and its WIL language, you get over ten years of proven business automation technology. Get real-world results with our versatile scripting language, 24 extender libraries, and our Web-based Tech Support. You get fast results from over 3,500 practical examples. Advanced networking capabilities include support for the full mix of all versions of Windows and Novell Netware. WinBatch can do it. If you need more information please contact the developers of WinBatch (Wilson WindowWare, Inc.), or check out their product website.